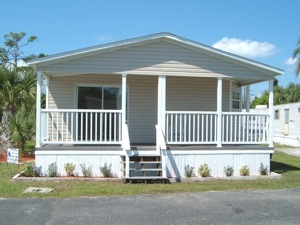 55+ manufactured home parks in Florida have a unique character. Unlike many neglected family “trailer parks,” Florida 55+ manufactured home parks are typically well-maintained and have great amenities. Newer manufactured homes can be purchased relatively inexpensively keeping costs down. The interior and exterior of these new manufactured homes have many modern features that give them the feel of a site-built single family home. You will find great kitchens, baths, and open living spaces for an affordable price. Many 55+ manufactured home parks also have nice clubhouses and shared facilities perfect for the snowbird lifestyle. Manufactured home parks offer a mix between renting and buying. Most manufactured home parks are what is referred to as “land-lease” communities. This means that you purchase and maintain your own home while leasing a lot in the community. Typically snowbirds can afford to live in a better location with a nicer house if you lease the land versus purchasing a condo or house. 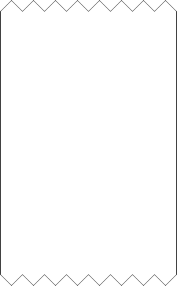 For example, a condo in the Merritt Island area might be available for sale at $200,000. With $50,000 as a down payment, the monthly mortgage payment (30 years fixed at 6.5%) would be about $948. Add a typical $180 /month HOA fee i plus annual real estate taxes and the monthly payment would be more than $1200. Alternatively, a manufactured home in a park could be purchased for about $50,000. The monthly lot rent would be about $300 /mo plus a yearly state tag fee would make the total monthly payment about $310 per month. Local laws in most states, including Florida, have stringent laws to protect home owners in manufactured home parks from unfair practices. When you purchase a home in a community, you are typically provided with paperwork explaining the rules of the community and your protections. Typically you pay one lot rent which covers real estate taxes and expenses for common amenities. Water is sometimes included, but other utilities are the homeowners’ responsibility. Landscaping service is also included sometimes. There are also “Resident-owned” communities with lots you can purchase. These communities are difficult to find and are often costly. There are additional costs for the homeowner including real estate taxes and HOA fees to pay for common amenities. home at least every four feet. The result is that most manufactured homes built to the new standards have weathered recent hurricanes just fine (Source: MHI). Much of the damage shown on TV from these storms are older manufactured homes (pre-1990s) and attachments (such as screen rooms and carports). We can not predict what nature will bring, but when purchasing a manufactured home, consider that a newer home will have increased protection over an older home due to wind zone construction and more stringent setup requirements. 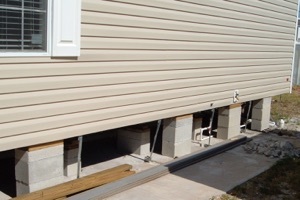 The home pictured above shows tie down straps used on newer manufactured home setups. 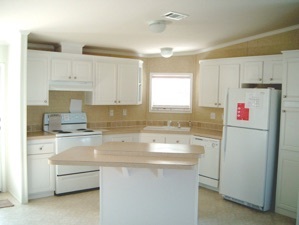 Here are some examples of manufactured homes and lot rents. Make sure to look at the FOR SALE page for the most up to date listings. In the next topic we will examine the RV lifestyle. 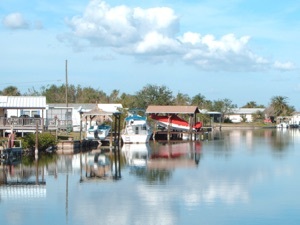 Merritt Island Village 55+ Manufactured Home Park- Super location directly on an inlet of the Banana River. See manatees, dolphins and other wildlife. Community park and dock for all residents. Interior lots available, but no waterfront lots. Near Kennedy Space Center. Golden Pond Village 55+ Manufactured Home Park- Beautiful 55+ Park located in Ocala Horse Country, less than 2 miles from access to Florida’s Greenway Recreation area. Beautiful forest setting located off of a Scenic Road near town of Belleview. 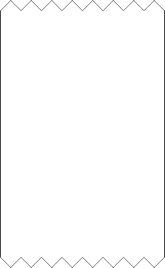 Manufactured Home lots Available! Florida Village Homes- Search brand new available homes in 55+ communities now!